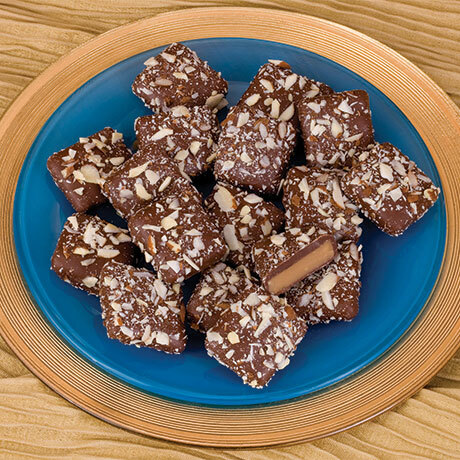 Crunchy toffee covered in milk chocolate and almond slivers. 6-ounce box. Please note: Shipping may be delayed until temperatures drop below 80 degrees. Milk chocolate (sugar, cocoa butter, whole milk, chocolate, soy lecithin, vanilla), sugar, butter (pasteurized cream, salt), almonds, salt, soy lecithin.